Arturo Vargas is a nationally recognized expert in Latino demographic trends, electoral participation, voting rights, redistricting and the Census. 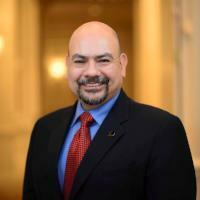 He serves as the Chief Executive Officer of NALEO, a national membership organization of Latino policymakers and their supporters. He has held various positions at the Mexican American Legal Defense and Educational Fund and he was the senior education policy analyst at the National Council of La Raza in Washington, D.C.